I am posting these pictures because they speak about my daily life and my inner journey (in general is that it takes me away). These objects were my “work in progress”during a workshop with Christophe Zellweger here in Lisbon. We can speak the same “língua” but not have the same ”linguagem”*. The lack of communication makes me breathless. And that can happen when I’m away from “home “(well, the notion of ” home “is very relative!). In certain places and for a certain period I am like a fish out of water. I feel foreign. Therefore I seek perform pieces that encourage interaction, curiosity. Just like a kid who wants to make friend and he lends his superhero’s cape (a children’s Parangolé…). *in Portuguese there are two terms for “language” to express a language spoken in one country and another term that refers more to the expression of this language. 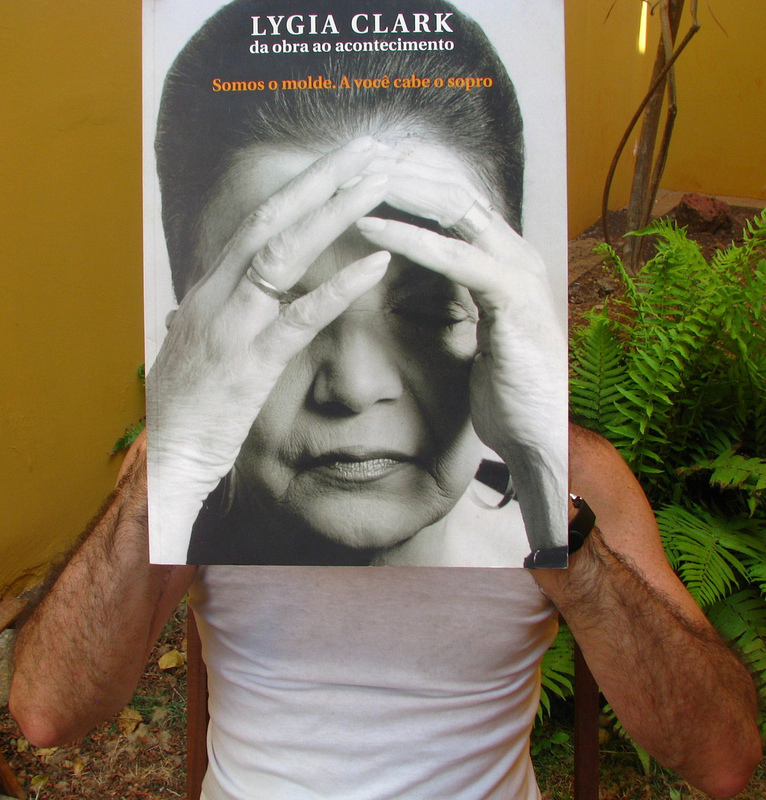 Lygia Clark Sensorial Mask Watch video! I thought it would take some time before everybody kicked in and post something the first weeks after launching Walking the gray line blog. But no, you really surprised us with your comments and pictures. I have seen many postings related to travel experiences. 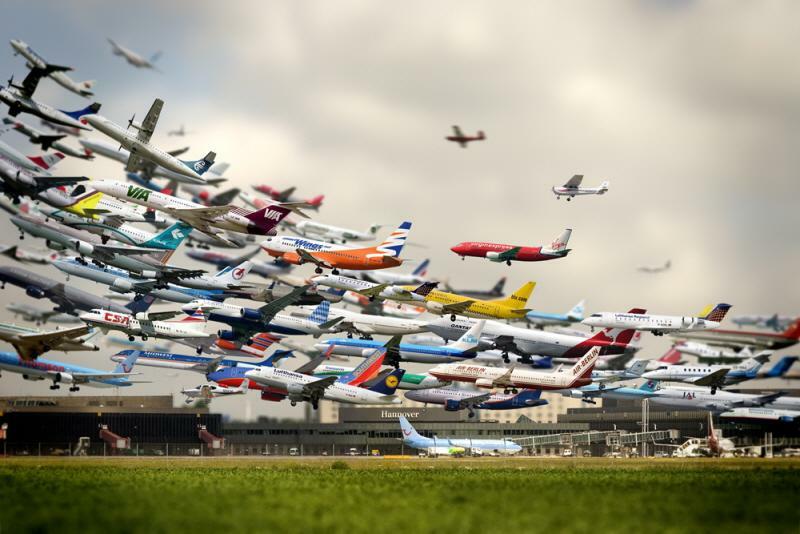 It looks like a lot of you have had opportunities to live and travel abroad. Having been raised in one country and then moving to another and yet another to develop personally and professionally has been a trend in artists lives even before passports were invented, some time in the 19th century. Artists have always been at the antipodes of change. If we think what makes artists look for new horizons we will probably discover what art can do for society. I like art because of its ability to give one a constant change in references. Creativity leads us into searching for possibilities, waiting for someone to explore them. But, the majority of the people believe that creativity is something only artists and writers are endowed with. Artists will do better bearing in mind that the role of creation is to give people the sense of empowerment, a feeling of being able to renew their lives and themselves. When thinking creativity in jewelry I am reminded about the importance of the body as language. We move around the world carrying our bodies, clothing and ornaments with us. They tell the world where we are coming from and what we are. Our non-verbal communication establishes our position before the others. Helio Oiticica and Lygia Clark were two Brazilian artists active in the 60´s and 70´s whose works were inspired by the body. The believed that we are what we wear. They made sculptures that moved around with us. Inspired by the Samba schools Oiticica created a type of clothing he called Parangoles, a wearable object that allows the person to move and dance with the artwork. Lygia Clark also created works from scrap materials, like plastic bags, pantyhose, polyurethane that were meant to be used and played with by the people. 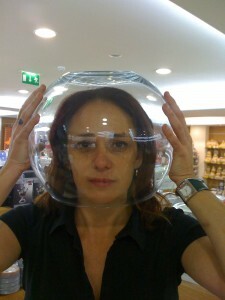 One of her works is the Sensorial Mask, with small containers on the nose area where she put clove, garlic or cumin, to stimulate the sense of smell; in the ears she used rattles made of sand and pebbles, and around the eyes she used glass beads and plastic grids to alter the view of the world outside. This, I believe, was a blurring of the limits between concrete art and wearable jewelry. Since then art object were no longer seen exclusively assomething external alienated from the body of the viewer. Jewelry is a hybrid that takes us further into the realm of creativity. It travels with us and is interchangeable, playful, and significant. It becomes part of our own body and language. So, look into your travel experiences and tell us what sort of things and experiences you have encountered that made you incorporate them into your creations. Post pictures and tell us where the objects came from. Do they come from home or are they traces of your journeys? This is a blog was originally created as a forum for a group of Latin American and European artists and jewellery-makers who, for a period of six months, exchanged thoughts, experiences, ideas, and images on three main topics: jewellery, global mobility and identity. And for viewers from all over the world to witness how an exhibition developed from scratch. To learn more on this project, read the introductory essay Take a Walk on the Gray Area. To see the interaction between the various couples, click on the couple’s names at the right column of the blog. The processes and results of the blog were as varied as the artists themselves and the way their own lives have evolved in the past six months. Some of the collaborations were rich and successful. Some others not so much. Some questions that gave birth to this project were answered to a more or lesser degree. 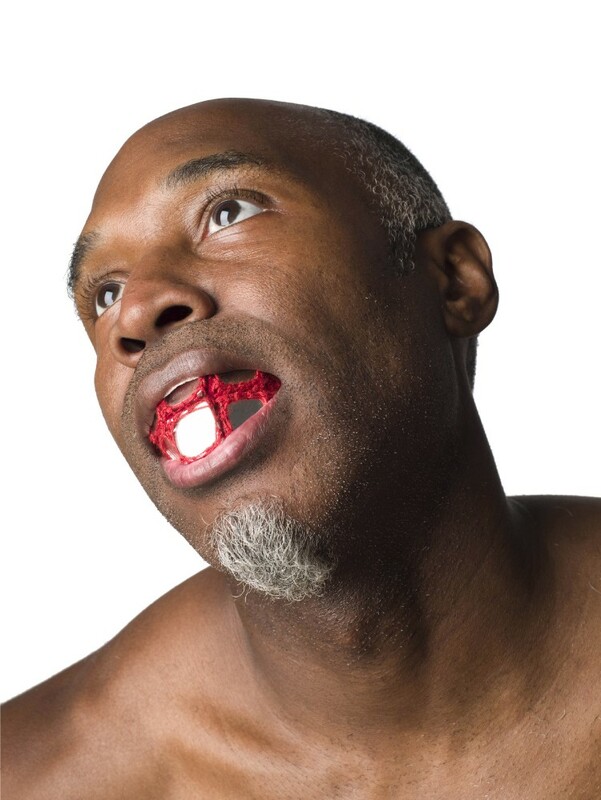 But it has all resulted in an extraordinary collection of ornaments that undoubtedly talks about the will and desire to communicate, to learn from each other and to make of contemporary jewellery a more culturally diverse scenario. This project has been plagued with all the eventualities of life: encounters, death, loss, births, communication, miscommunication, new migrations, change of paths, construction, destruction, abandonment and among this, an exceptional exhibition evolved. Walking the Gray Area premiered at Galeria Emilia Cohen in Mexico City in April 2010, featuring over 60 jewellery pieces, produced by 40 artists from an uncertain total number of involved countries. The exhibition has come to an end. 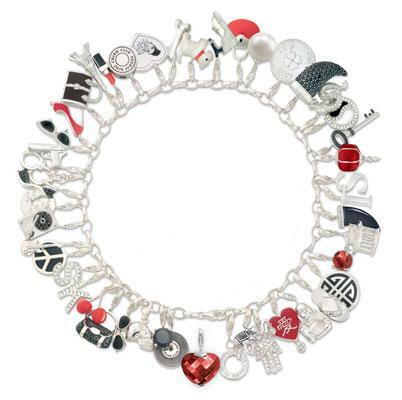 But not the contact between artists from utterly divergent backgrounds and cultural systems or the growing interest of a recurring audience of over 12 thousand visitors about contemporary jewellery and its great ability to communicate, provoke, critique, record, transmit, and generate meanings, qualities, and ideas. Walking the Gray Area remains now as a place where artists, designers and an audience interested in learning about this fascinating discipline can meet, discuss and share with others those ideas, images and projects that motivate and inspire them. A place to celebrates jewellery and cultural diversity. Enjoy this blog and make it grow! When I was in Art school and I got to know Ligia Clark’s work, I was also working in a silver jewellery workshop. I was concerned both with my art production and “design” one. Knowing her work gave me the first glimpse of a way of producing jewellery that could have an extra meaning, combining things, going to the gray area. 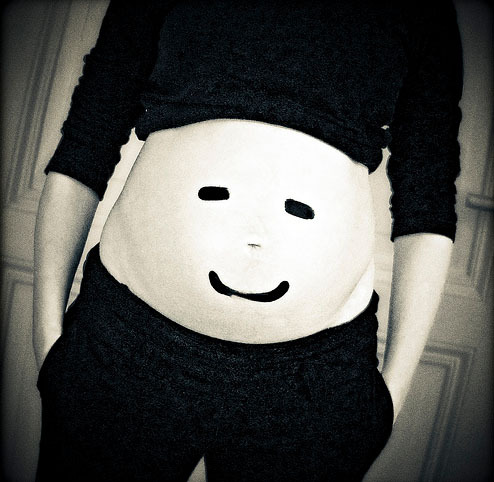 Here I post some images of a collection of 2004/2005 I presented at Galerie Biro. The title is the same of one of her works “Nostalgia do Corpo” in portuguese, “Longing for the body” in english. I think that’s what a piece of jewellery longs for: a body to give it a broader meaning. I must agree with something that Helena Biermann once told me: one of the things that fascinate me of living in Europe, in a country farther from the Equator line than mine, is the change of seasons!… In Mexico we only have one season through the whole year (well, and the rainy season… which is just rain, but no real change of anything). Spring and Autumn are still a wonder to me. The fits little spring of green among the snow; the first yellowing leave abandoning its three; the firs minuscule flake of snow landing in the car’s windshield… those are all such joyful moments. Happy change of seasons to all! It is great to see you back and kicking! 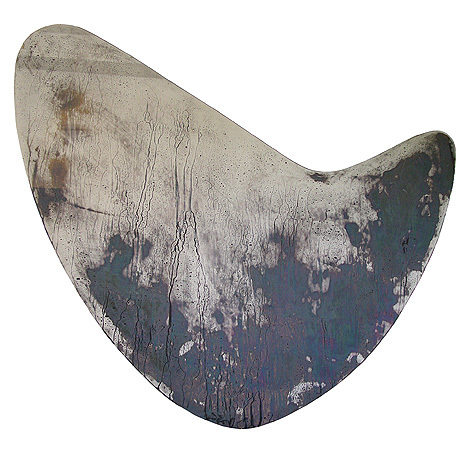 I love how she uses this really antique mirror and gives it a minimal, wierd shape, according to Neringa: like the puddles which every one of us were wading in on childhood rainy days. We are the team of La Refaccionaria Gallery from Mexico. La Refaccionaria, Art & Contemporary Design, have as s goal the creation of a space that makes easy the encounter of the contemporary art that its taking place in Mexico with diverse public either in Mexico and, abroad. In October of 2005, It opens its doors, adding itself to the artistic atmosphere generated in the city, the selection of this artists in the historical center of Mexico City includes several generations wich pays the conditions so that receiving, those who habitually do not coexist to each other, they tie. Some others of its strategies have been the organization of exhibitions beyond their space bucket, the artistic object and the use of diverse supports. Among its interests, there is the incorporation of other disciplines as design, the architecture, and the functional object, to artists project for wich it counts on with Edgardo Ganado Kim, resident curator and Amalia Ortiz like the director. For La Refaccionaria, is amazing to participate in a big project like Otro Diseño, not only by the idea of taking a project like jewelry design (the topic is new to us) but by the idea of managing of collective work of different designers with the work of our artists represented. We hope that the interaction that emerges from this time with the final outcome in the next 2010 be learning and interdisciplinary collaboration for each of us. By the time we left but next days we will be talking to our artists and projects forward in the space. constellation. 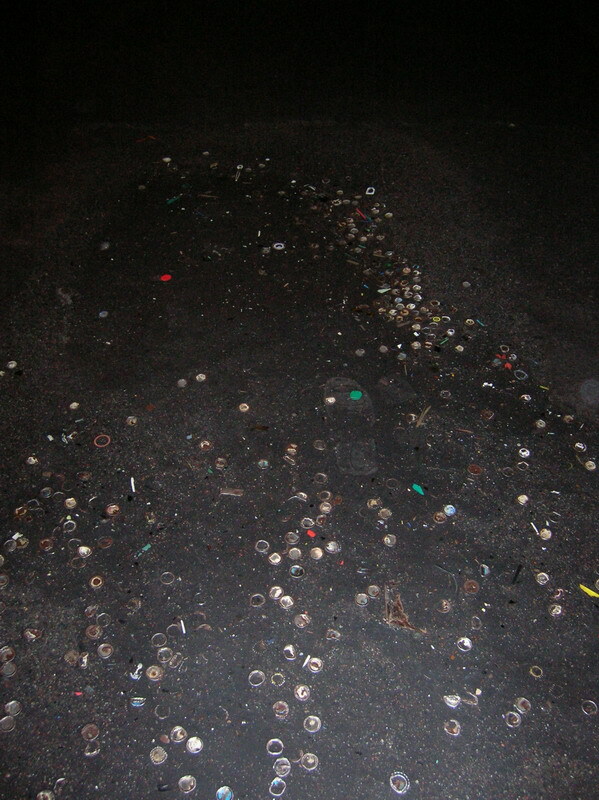 soda bottle caps on street. I confess that I did not know her work till yesterday. I thought of posting it because looks interesting considering our theme. This blog has become very lively and is definitely collecting and connecting all sorts of very interesting aspects around the themes of migration, home, jewelry! I wanted to share with you something that I discovered reading in the book THE CRAFTSMAN by Richard Sennett about goldsmiths and migration: In the medieval days an apprentice goldsmith was place-bound during his first stage of learning the basic techniques. But after that, once having proved himself by locally presenting his chef d’oeuvre he became a journeyman. This way by moving from city to city and responding to opportunities the traveling goldsmith became a convincing master craftsman who tended to be entrepreneurial with managerial talents, having been made strong by travel and mobility. In fact I wasn’t aware of this aspect before at all and find it extremely interesting how so many contemporary jewelers – and this our group especially, are actually following an age long tradition! I would really like to express an extra special thank you to José Manuel for your input and also to Galeria La REFACCIONARIA for their enthusiastic offer and reception of the project! No to be missed (if you happen to be in London)! The ones who happen to be in London in the following weeks, do not miss the installations made by artists NS Harsha (India) and Chen Chieh-jen (Taiwan) at Rvington Place. Harsha questions international politics and globalisation combining serious discussion with visual wit. 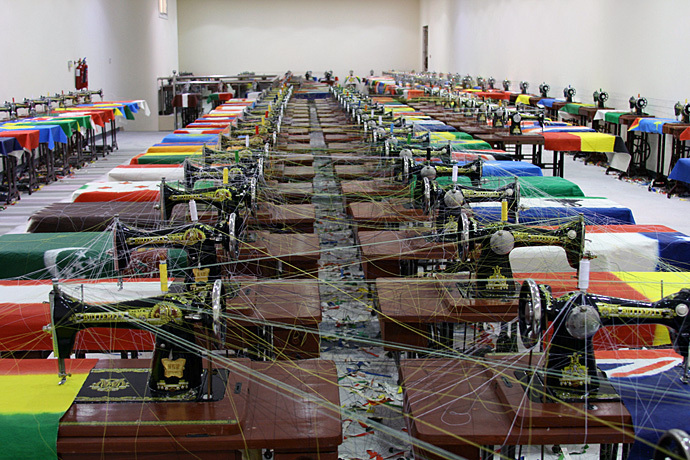 192 sewing machines are overlaid with calico painted flags signifying the countries that make up the United Nations. 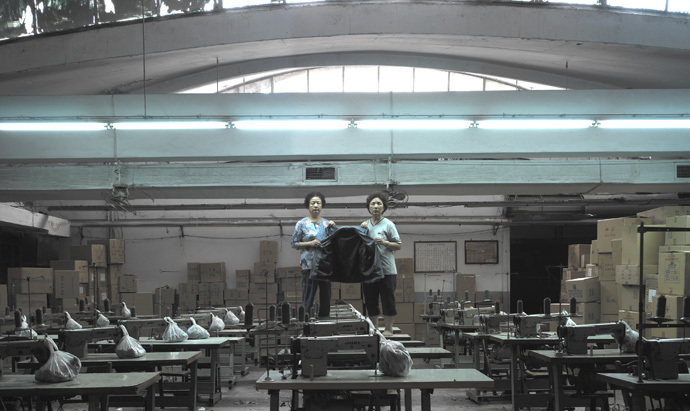 Simultaneously, Chen Chieh-jen presents a video that focuses on a group of textile workers, it is set within the context of manufacturing moving abroad in search of cheaper labor. Till Nov. 21st! North American artist and current director of the Fashion Design Faculty at the School of the Art Institute of Chicago addresses social and political issues in his work by utilizing clothing-based forms as a response to being a black male in America. 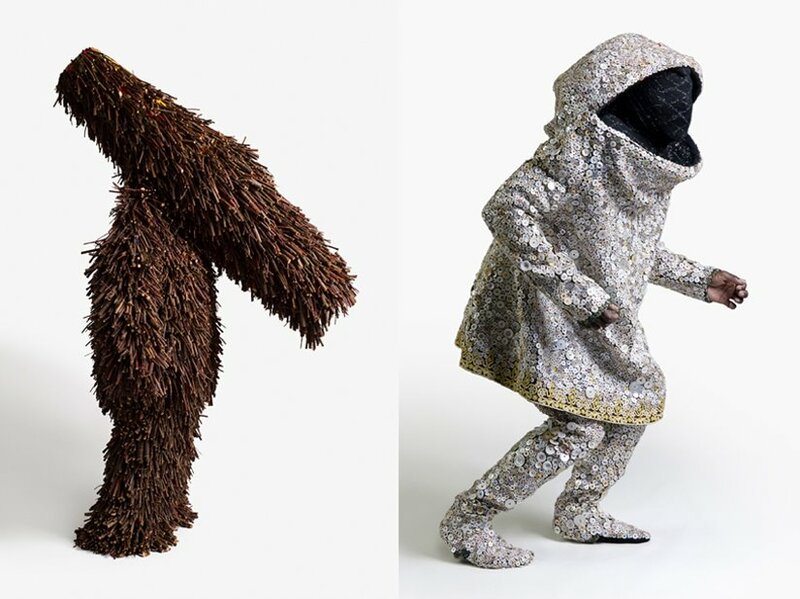 In the fashion of ethnographic costumes found in museums, Cave’s the Sound Suits function both as a piece of static sculpture for museum display and as a ceremonial garment for performance. They conceal the identity of the wearers, freeing him of race or skin color or gender. As an African-American male, Cave says he is faced with prejudice every time he steps onto the street; these pieces are made as disguise and protection against the prejudices he encounters daily. 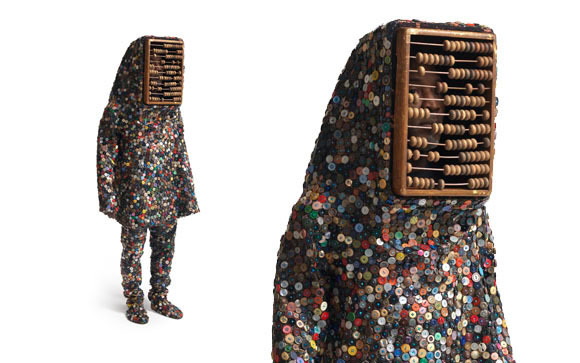 He uses discarded objects in a similar way to quilt making, which traditionally utilizes little bits of discarded clothing that are reassembled to form something practical and beautiful. Cave takes apparently worthless materials and transforms them into valuable objects of breathtaking beauty and spirit. Hello everyone! The reflections of the artists in this blog have inspired me a lot! Walka came for dinner, Studio stayed at home! Last night, my husband Hes and I had the pleasure to meet one half of Walka Studio, Chilean jeweller Ricardo Pulgar. He came to have dinner at home, here in the Netherlands. 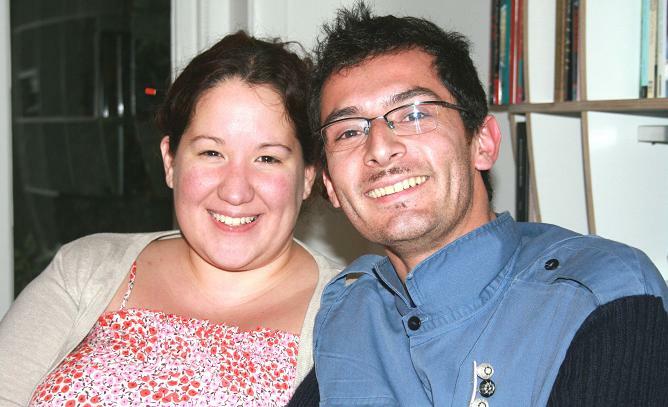 Unfortunately, the other half, Claudia Betancourt, had to stay in Chile. Ricardo came with wine and goodies in hand and we were amazed by his energy and passion for people, jewellery and traveling. And of course, his impressive work. It was a charming evening and, as always, a joy to personally meet one more of the GWA artists. Claudia and Carol, we missed you! And we will certainly meet in Mexico, for the round of tequilas that we (luckily) forgot last night! Some time ago I read a contention that Modernism in Latinamerica was a replica of their European & North American counterparts. Brazilian artist of the 1920′s came up with an idea that settled any further debate on what this old dilemma. They founded a movement called Anthropofagia (Cannibalism). In order to be Brazilian, you must eat and digest all foreign influences. That’s fun. Life in tropics and outside the centers of power, has given way to many contradictions and paradoxes in the global environment. And, indeed, reality over there surpasses imagination. Take for instance, these two pictures that were brought to my attention by my good old buddy, the artists and performer Cesar Martinez. On the right you see the work of world famous Italian artist on the left, the result of a night partying in Mexico City. 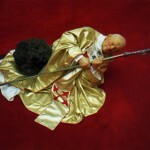 Maurizio Cattelan stirred up controversy with this sculpture of Pope John Paul II struck by a meteorite, the piece gave his career a boost in 1999. Drunk driver in Mexico killed a man before raming his RSV onto a sculpture dedicated to the memory of Pope J.P.II, on March, 2009. 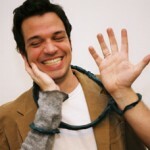 (see full article on: http://www.replica21.com/archivo/articulos/m_n/570_martinez_cattelan.html). You have to marvel at the way that reality surpasses fiction and chance becomes the one and only way of relating life and art. 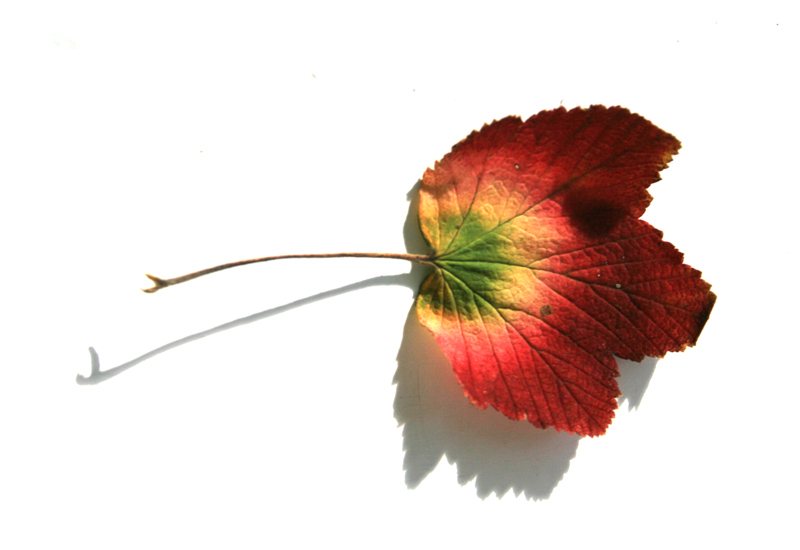 When it comes to finding the discarded object or creating a new one, do you wonder about these thoughts. 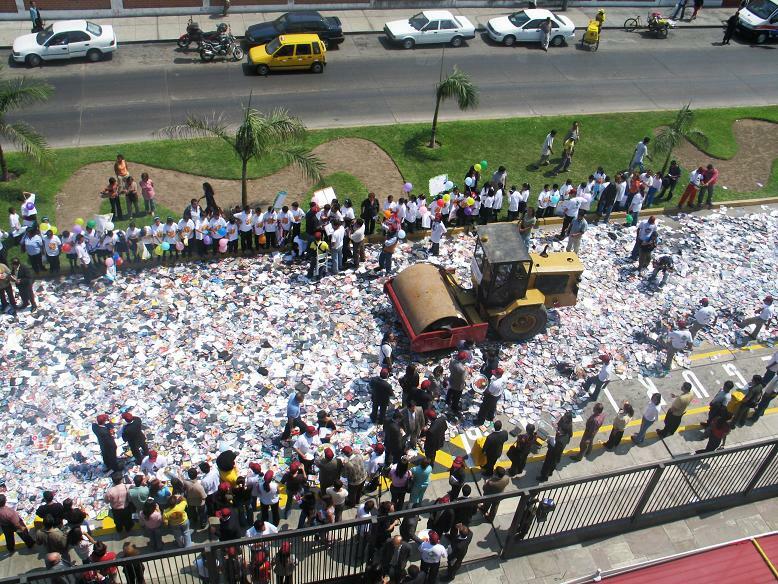 What does an artist need to create or recreate, recycle or rebound. Dear José Manuel — you had a question! It’s taken me awhile to get back to you with a response regarding your wondering what the crossings (or connections) are between crafts, art, and design that make jewelry more far-sighted than visual arts and also so detached from design in the traditional sense of the word. I’m going to partly cite you and also supplement it according to how I understood what you meant to convey, as well as adding my thoughts to it. As you said, once Art with a capital ‘A’ came onto the scene those making it – the artists – were driven into (training) institutions to learn what was considered as art and what the ‘proper’ way of creating it was. This in contrast to the first hand-made objects that mainly ‘celebrated’ nature (an inexhaustible laboratory of inspiration) or their religious-mythological beliefs. Design in products that were meant for consumption followed later, pretty much free of conceptual or religious aspects and geared more to the aesthetic. Even later, when the Bauhaus in Germany and De Style in the Netherlands for example set down very clear new parameters regarding design that created a totally new aesthetic and idea about the look of consumption objects. Thus was born ‘Design’ based on clear visual aspects relating to function and functionality. Art which later became more and more conceptual and worked with meaning stood across from it. And on the side stood the crafts which created functional things through more time-consuming hand labor but mostly without the strictness of the clear visual aspects of ‘Design’ (assembly/factory work). Jewelry as embellishment of the body, for a long time meandered along the different styles of the times but not really adhering to any of them properly. I’m not an historian, so what I am saying is without claim to being the truth, on the contrary it’s only a reflection of what I observe and feel. As I see it, things started becoming fascinating once the aspects of design, crafts, and art started intermingling and boundaries blurring. Of course that opened some new cans of worms and the discussions are ongoing still. Such as Art not viewing ‘decorative’ applied arts as equals, or design not searching for association with crafts and so forth. I don’t want to go into that – it’s an endless loop. Personally, I often find wonderful surprises in design or conceptual crafts. Quite often I experience the thinking behind design/conceptual crafts extremely witty, or with interesting references to the traditional in a very contemporary manner, or being critically reactive to society/life, and this often exceeding what I notice in Art. Again, this is just my personal opinion and taste! Students of crafts departments at good art schools are conveyed the necessity of having a good basic knowledge of art history and contemporary art besides being proficient in their own area of expertise. Of how many painting, sculpture, or new media students/artists can the same be said regarding a knowledge of any field of crafts? It is said that knowledge is power, so maybe that helps empower the creative process leading to some very outstanding strong work in the field of crafts. Also, especially jewelry has emancipated itself out of the ‘metals’ corner after contemporary makers do not slavishly adhere to solely using precious materials. Everything is allowed since all the different materials speak their own language and transmit their own visual message. What is being used in Art is today nothing new in Jewelry. And while jewelers use all these different materials they often don’t just use them as such, but research their characteristics, push their boundaries in exceptional ways, and apply them in the knowledge of using that material’s subtle inferred expression or the more expressive outspoken. And on top of that jewelers are kept on their toes by having to additionally incorporate the aspect of function – wearability. To pick up your question again: what makes jewelry look so far ahead of visual arts? I don’t know, maybe jewelers have to try harder, thus ending up by pushing things more, experimenting more with many intriguing results? I hope that somehow answers you! Our contemporary Latin America is the product of a complex historical process that, for the last five hundred years or so, has been marked in various extents by foreign influences. Artists have certainly chewed on this for the last five hundred years or so… Latin Americans have reacted to foreign influences of the most diverse ways: from the both rebellious and humorous way in which the natives of Mesoamerica hide their symbols behind the imposed Christian ones to the brazen Pirateria (or piracy) that shines in street markets all over the continent… and everything in between. 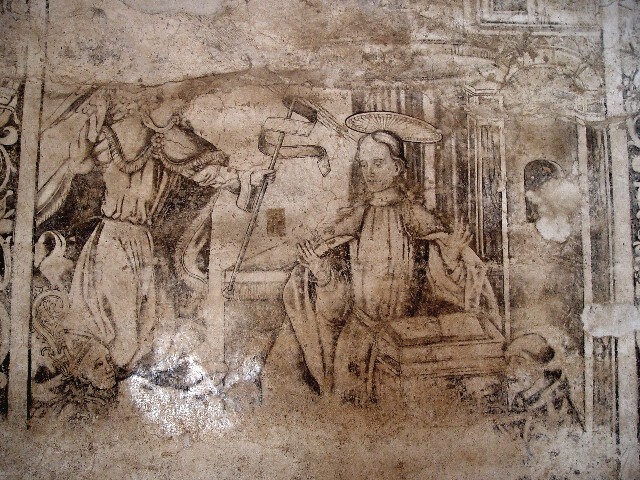 Prehispanic motives hidden in the decorations of the priests’s clothing in this mural paining at Convent of San Francisco de Acolman, Mexico. In 2008, Cuban artist and jeweller Jaime Alonso, launched his line ‘Pandora de los Pobres’ (or Pandora for the Poor): 100 matchboxes collected over 20 years, full with all kinds of small objects, also collected in as many years. Every object in each box relates to the others through Alonsos’s humorous discourses on a array of topics, all related with the Cubanness of the artist. 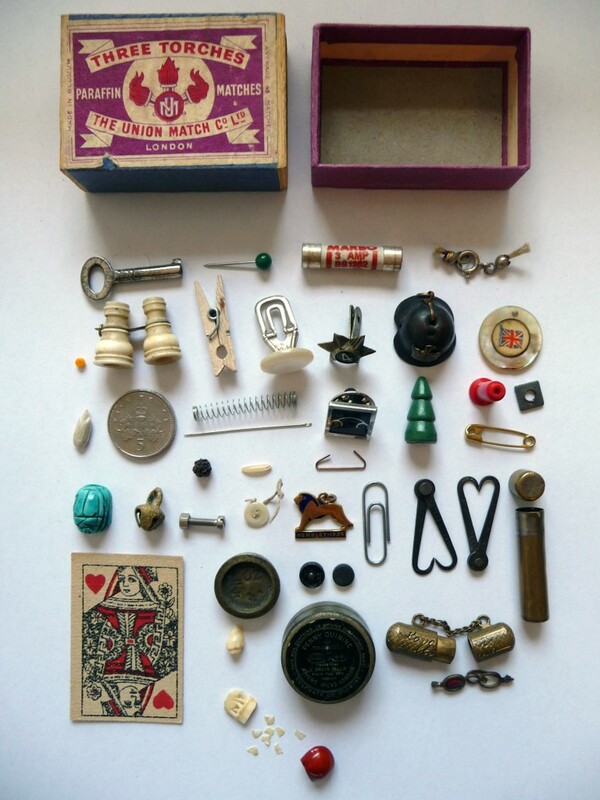 All the object can be then attached to a chain, ring, bracelet that come practically packed with each matchbox. Art is informed and influenced by virtually every single thing that surrounds us. Past and present, foreign or local, real or imaginary. 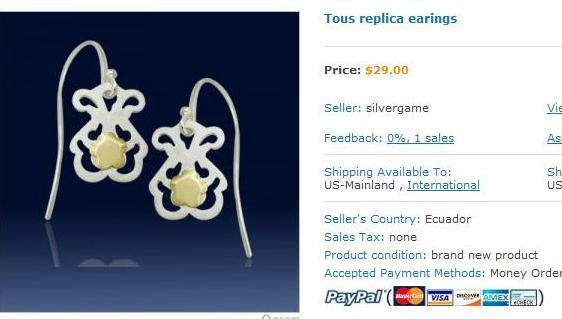 The same can be say of jewellery. Art and jewellery become fields where discarded object and ideas are hungrily consumed and then digested or regurgitated by artist from around the world… they reappear transformed, twisted, multiplied, reinvented or sometimes, sadly, simply copied… A rich topic that Jose Manuel has placed on the table!